Among the upcoming ISRO PSLV-C45 launch of 29 satellites, will be Atlanta, Georgia's, Blink®'s custom radio receiver, Blink Astro®, on NanoAvionics' M6P 6U spacecraft. In November 2017, Blink® released its first ground terminal device, the AgriBlinkR™, that offered an end-to-end customer solution for monitoring and analyzing the precision agriculture sector. 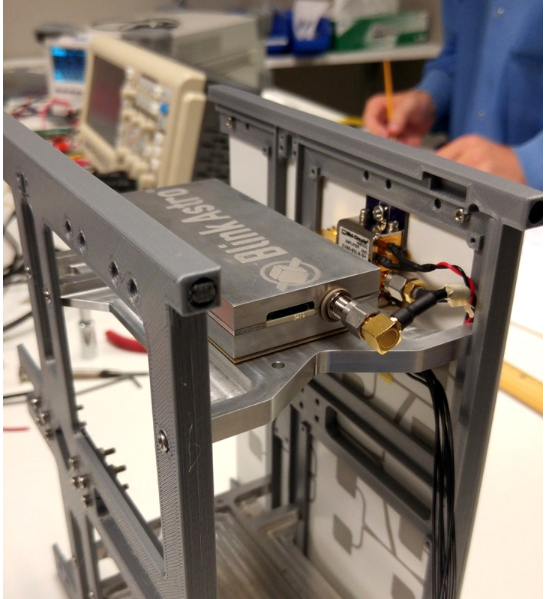 The success of the AgriBlinkR™ release, furthered their confidence for the upcoming spaceflight demonstration mission of Blink's proprietary radio technology and lays the foundation for the future BlinkSat™ constellation. Kevin Feld, Blink's Chief Engineer said they are excited for the upcoming flight to prove out a number of key technologies for our custom data network, including the BlinkR® ground-based sensor terminals, on-orbit radio systems, and user data portal. The collaboration with NanoAvionics has enabled Blink® the ability to test payload software and simulate all functional parts for the low cost global IoT satellite constellation vision. Dr. John R. Olds, Blink Astro's CEO said that their hosted payload partners at NanoAvionics have been fantastic to work with to get this first technology demonstrator payload into space. They are hoping to use this mission as a proof-of-concept toward their vision of a more comprehensive low cost space-based IoT solution in several of their key markets, including agriculture, transportation, environmental monitoring, and military applications.